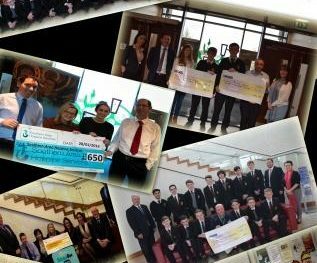 The Abbey community of pupils, staff and parents have raised over £16,700 this year for local, national and international charities. The money has been raised in many creative ways; homemade cake sales (which proved very popular with the Abbey boys! ), quizzes, mini-enterprise projects, fun days and much more. The money has helped so many different groups such as our local hospice, inner city homelessness and supporting our friends in the Zambian Immersion Project to name a few. Next year the Abbey Community aims to raise even more funds and keep the spirit & ethos of Edmund Rice alive in our mission to care for those in need.